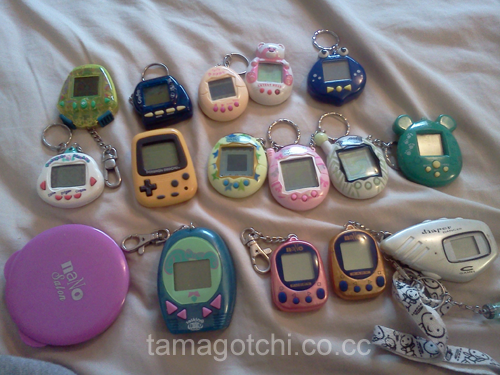 I'm not the only person in our family who has a Tamagotchi collection. My younger sister has one as well! Although, hers isn't quite as big or diverse as mine :P However, she does have some pets that my collection is lacking, so I thought that I would ask her if I could take a picture of her collection and post it up on the site :) She said yes, so here it is! * Looney Tunes Giga Pet: this pet has multiple characters. I'm not sure if you choose one from them or if you take care of all of them at once (like the Rugrats Giga Pet). 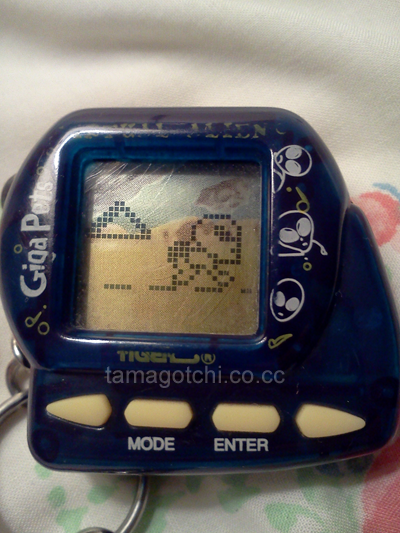 * The second pet is her Alien Giga Pet, which is one of the Giga Pets with the original programming. It functions much like the Nano Baby, except it only has one game. * The fourth pet is a Lovely Bear, which you can find a review for here! * The fifth pet is a very odd frog virtual pet. We've never played it the whole way through either. I think its in Japanese which made it a little confusing. Maybe I'll ask her about trying it out sometime so I can do a review on it. * The second is a Pikachu Pedometer pet. She got it when they first came out. They go for pretty expensive now on eBay. * The third pet is an American V2 connection, which she is currently letting me borrow. Its a very cute design. * The fourth pet is a V3, which I think I may have bought for her. Its a very cute design too. * The fifth pet is a V4, which I somehow managed to convince her to get. * And the 6th one is a very crummy virtual pet. It doesnt have any good features on it and just shows a head doing nothing. It won't even show the pet eating, and it dies very easily if you make a simple mistake. * The first isn't a pet, but it is a Nano Salon. Its sort of a matching game in the shape of a makeup compac. * The second is a Talking Nano. They are very annoying so I wouldn't recommend getting one. * The third is a Nano Puppy that I gave to her, and the fourth is a Nano Baby that she bought. * The fifth isn't a pet, but a virtual baby that dances randomly. I'm not sure it does much else. I think its just called a Diaper Baby or something.